Did you know that KGNU is an independent, non commercial radio station? This means that not only does KGNU bring to you some of the most incredible audio content on the radio, they do it because they are dedicated to their listeners, not to profits! 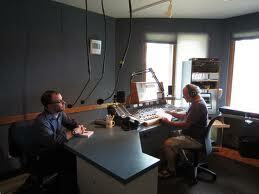 Because KGNU is an independent radio station, you can trust that they are a mission driven, non profit media outlet! Non profit meaning that you can be sure that they will not alter content as a result of moneys given by corporations or the government.This means that when you donate your car, you are supporting the freedom of speech that we all enjoy through radio! Because KGNU is a non-commercial radio station, well, you don’t have to listen to any commercials! As a matter of fact, KGNU does not broadcast advertisements at all and does not accept any underwriting from major corporations! The primary focus of KGNU is not to maximize profits, but is to provide quality journalism and diverse music! Believe it or not, the majority of KGNU’s budget comes directly from donations made by listeners just like you! Therefore, when you donate your car to KGNU, you are not just donating a car, you are ensuring that your favorite radio station continues to be commercial free! On behalf of Cars Helping Charities and KGNU Community Radio, we would like to say thank you in advance for making the decision to donate your car!